I participated in a reality comedy series on Bravo called LOLwork. 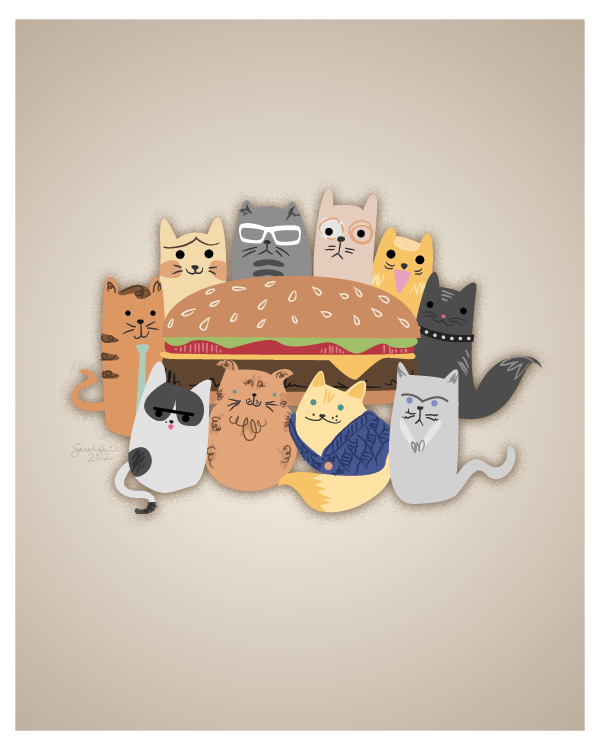 It followed ten creatives working with The Cheezburger Network as we went about producing humor content for the masses. I illustrated throughout the season, culminating with this piece which was later auctioned off to benefit a sexual assault recovery center.